Once more into the vault my friends, once more into the vault. Step back in time, to a time when the modcast was young and fresh. Take a giant step outside your current listening constraints and journey with me all the way back to those oh so sweltering days of Summer 2011. I've opened up the vaults and dusted off a classic modcast that I think you'll enjoy. Again. 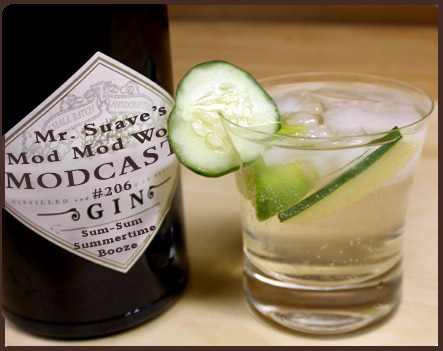 Welcome to Mr. Suave's Mod Mod World, it's time to get some summertime booze. At last, at long last, summer has come to seattle. This has been one of the coldest springs on record in the northwest, but the times they are a changin'. The thermometer has actually eeked up over 80 degrees fahrenheit. Not exactly Vegas temps sure, but I'll take it. This week you're going to get a full dose of sunny, hot, summer songs. But don't blame me, it's not my fault. Give credit where credit is due right, so I have to give credit and a shout out to one of the best blogs on the net Music Ruined My Life. If you dig power pop, punk, pop-punk, mod, new wave and so on then Music Ruined My Life should be one of the blogs you follow. Jeffen the man behind the blog recently did a great post featuring summer songs -- which got me to thinking. I started putting together a list in my mind and voila here's the modcast to prove it. Acid House Kings -- Are We Lovers Or Are We Friends?